29L spacious enough for your outdoor food like sandwich, juice, fruits, bento box and so on. Adopt Eco-friendly AL foil to keep food fresh and warm/cold for a time. And it is foldable for space-saving storage when not use. 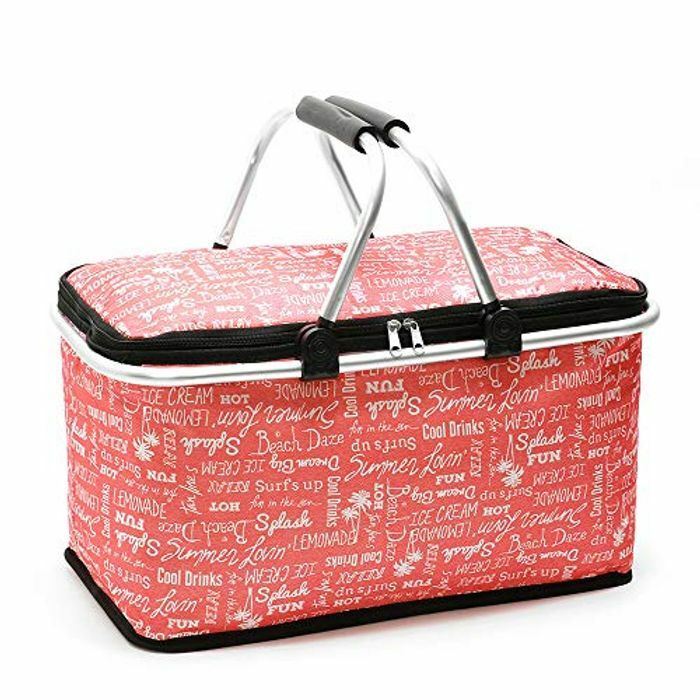 Perfect insulated storage bag for camping, picnic and BBQ with your friends and families. Freshness & Temperature Protection: Eco-friendly AL foil lining, waterproof and thermal insulated, effectively keep food fresh and warm/cold for a time. Spacious: 29L roomy enough to organize your outdoor food and other items like juice, fruits, snacks, bento box or lunch box and so on. Serviceable: Outer superior oxford fabric, resistant to wear and tear for further protection and long time service. Foldable & Portable: Fold down the bag for space-saving storage when not use.